HIALEAH HAIKU TAKE TWO: "Clingy but flakey, you, guava pastry!" 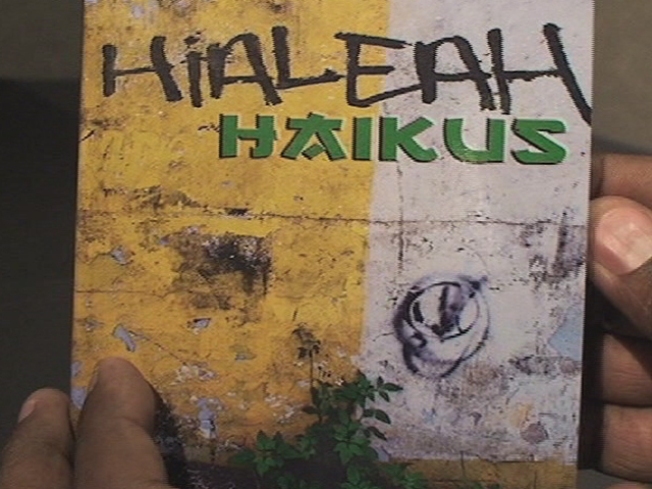 That's a line from one of the haikus about growing up in Hialeah that was published in Hialeah Haikus. Well, the writers, actors and the performance artists of Foryoucansee have put their creative minds and stories together from their days growing up in Hialeah yet again and created a second book. Meet the minds behind this greatness at Books & Books in Coral Gables tonight. 8 P.M.
LIKE LAGER? It's the first Wednesday of the month, and if you like beer and good food, head to Lou's Beer Garden in Miami Beach tonight for Executive Chef Luis Ramirez's beer pairing menu. Micro-brewed beers and pairing them up with the perfect appetizer. And who doesn't love themes? It's a different one each night, including Belgian Beer Night! Cost is $20 and it starts at 6 p.m.
42 MINUTES PAST THE HOUR: Looking for a new chic night club to visit tonight? New Tokyo Blue opens its doors to you for the first time. This upscale club on Fort Lauderdale Beach is located in the historic Ocean Manor Beach Resort. For those with late night munchies, there is an ocean-view dining area serving Asian cuisine. The party starts at 9:42 p.m. tonight... they're precise on time.